Did you know what is Morels If you did not know I hope will make some search for wild Morels? If you have found a pile of mushrooms, you may be wondering what to do with them. If so keep reading to learn about how to clean, preserve, and prepare these delicious wild mushrooms. Tiny insects love to hide in the Morel’s cap, so if you are like me and prefer more mainstream sources of protein, you will want to get rid of the bugs. The first thing I do is to give each mushroom a good rinse under cold water to get rid of any obvious dirt, debris, or critters. 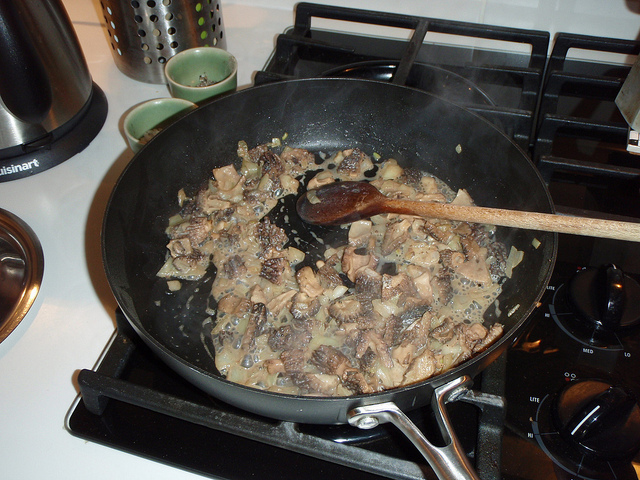 After rinsing, cut each mushroom in half lengthwise and place in a large bowl. Place a plate on top of the mushrooms to keep them below the surface of the water. Let your bowl of mushrooms stand in the refrigerator for several hours; this will drive out any remaining critters that may be lurking in the recesses of the Morel’s cap. 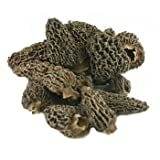 Now nicely cleaned and free from wildlife, your Morel mushrooms are ready to use in your favorite recipe. Collecting and eating Edible Wild Mushrooms can be a fun, safe and delicious pastime. However, it is imperative that you are certain that any Wild Mushroom that you consume is in fact edible. If there is any question regarding the identity of any mushroom you have found. 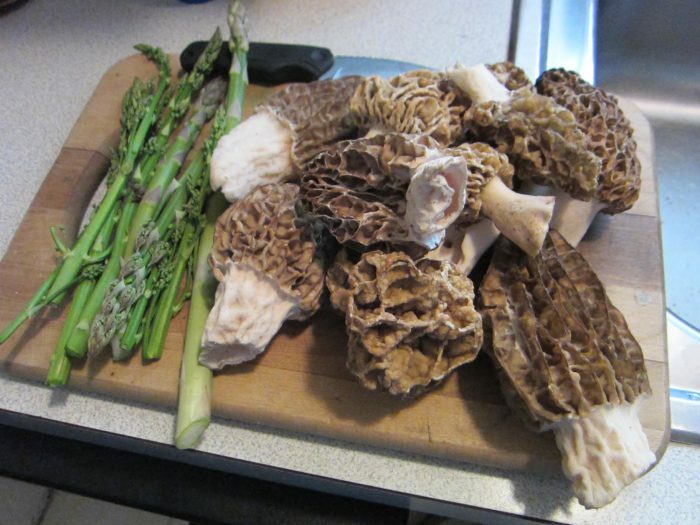 Naturally, you will want to gorge yourself as much as possible on fresh wild Morels while they are in season. 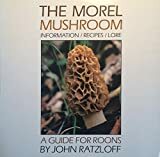 However, iIf you do hit the Morel mother lode and have more mushrooms than you can eat right away, you may wish to consider storing some for future use. 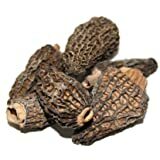 Dried or frozen Morels can provide a much-needed taste of spring in the dead of winter. 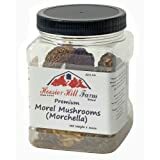 There are a couple of different methods available for preserving wild Morels. Return to freezer until ready to thaw and use. If you have a food dehydrator, it is a simple matter to dry your morels. Simply dry the Morel mushrooms following your dehydrator’s instructions. If you don’t have a food dehydrator, you can air dry your Morels. String your mushrooms through the base of the stem using a needle and thread. Once mushrooms dry. You have to store them in an airtight container until you are ready to use. Properly stored dried Morels will last indefinitely. When you want to use your dried Morels. Simply rehydrate in water and prepare as your favorite Morel recipe calls for. 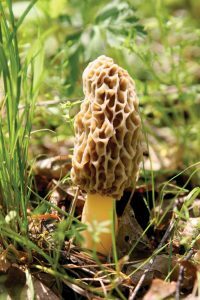 Larry Lonik shares with you from his 45 years of experience just about everything you will ever nee to know about the Morel Mushroom. Learn about picking growing and eating the most sought after of all edible wild mushrooms. Wild Morels have a delicious, but gentle nutty, earthy flavor that needs no fancy preparation. 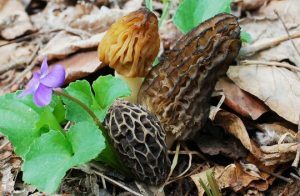 In my opinion, the best recipe for Morel mushrooms is the simplest. 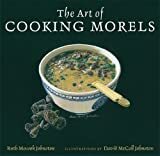 Prepared this way Morels are an excellent accompaniment to any entree. 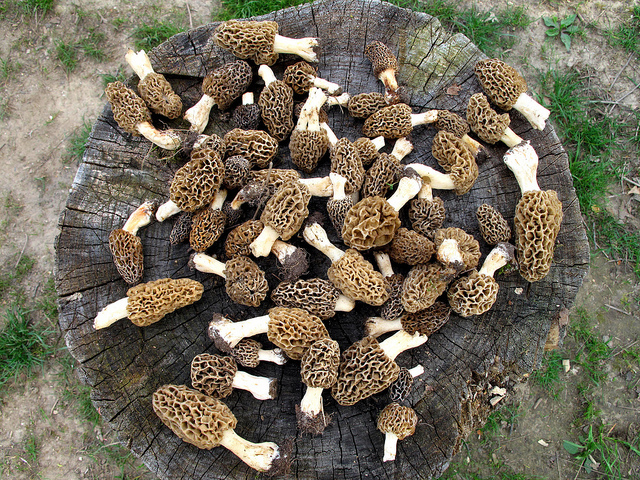 I especially enjoy Morels with wild game like Venison tenderloins. 4. Add mushrooms cook for 3mins. Or until Morels begin to release their liquid. 5. Add Asparagus and cover and cook until al dente approx. 3mins. 6. Remove cover and stir gently until liquids are reduced.